On Thursday and Friday, I went to Kyushu, the southernmost of Japan’s four main islands. I did not go for the scenery, but to watch Lexus’ new crossover, the NX, come off the line. I did that. And I did something else. I experienced the birth of a duck. In the business, the French word “canard” (duck) stands for “false or misleading report or story,” and this is the story of how a canard was hatched. Back in 1992, Kazunori Yamauchi, along with a group of 7 other individuals, set out to develop the original Gran Turismo racing video game for the Polyphony Digital subsidiary of Sony Computer Entertainment. Five years later, the initial game, for the original PlayStation game console finally went on sale to favorable reviews and an adoring public. As part of the 15th Anniversary celebration of that late-1997 original release, Yamauchi-san issued an Olympian challenge to the world’s carmakers with a single question: “Would you be willing to design your rendition of Gran Turismo for us?” The videogame’s name “Gran Turismo” (GT) refers to a 2-door sport car, known as a Grand Touring car in the English-speaking automotive world. As the official Gran Turismo 6 Vision GT page reveals, 23 car brands, 3 Italian carrozzeria (Bertone, Italdesign Giugiaro and Zagato) and even 2 sporting apparel brands (Jordan and Nike) answered the call. Mercedes-Benz has taken it one step further and, on Wednesday 20 November 2013 at the Los Angeles Auto Show press conferences, unveiled the actual, physical Mercedes-Benz AMG Vision Gran Turismo Concept, albeit as a 1:1-scale model with no powertrain. (In the game the 3053-lb mid-front engined coupe is powered by a 577 horsepower, twin-turbocharged V8 producing 590 lb/ft of torque). This is the only image available at the moment but any talk of Toyota and new sports cars always leads to speculation on the introduction of a spiritual successor to the Supra. Yours truly’s gut feeling and suspicion is that the Toyota press conference at the 2014 Detroit Auto Show (to be held on Monday 13 January 2014 at 8:50 AM Eastern time) will reveal a Toyota Supra Vision Gran Turismo Concept of some sort. The closest thing to a Gran Turismo coupe that Subaru has ever built for production is the Thunderbirdesque, Giugiaro-designed SVX. The Vision GT Subaru shown above, however, recalls a far more recent concept from the carmaker: the Cross Sport Design Concept that debuted at the 2013 Tokyo Motor Show. The bare-bones teaser blurb Subaru released 3 weeks before its unveiling hardly hinted at this cladding-bedecked BRZ shooting brake that, for this author, was probably the biggest unexpected surprise of the show. The second attempt (after the FT-86 Open concept) at expanding the BRZ / GT 86 / FR-S body style repertoire beyond the production coupe has seemingly been made sleeker and, thankfully, lost the side cladding and pseudo-SUV soft-roader styling cues from the Cross Sport Design Concept. Or are we, possibly, seeing some hints around the nose at what a mid-life facelift or even next-gen model of the Toyobaru coupe might look like? 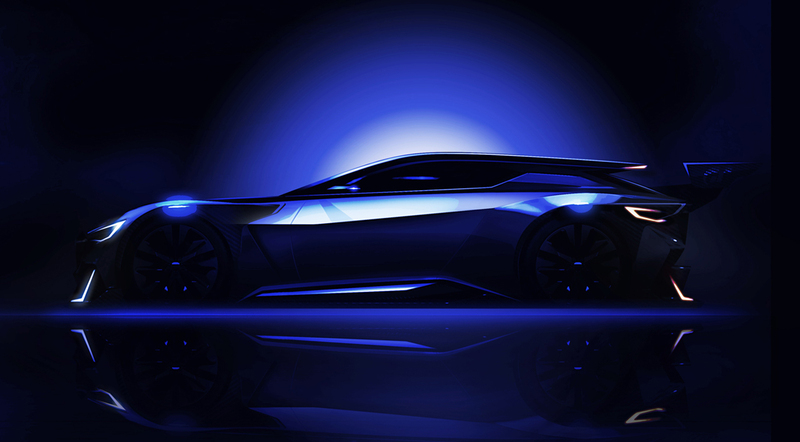 Although the big Wednesday 4 December 2013 reveal unveiled the bulk of the Vision GT teaser renderings from the participating brands, a number of them remained unseen at that point. Among them: Lexus’, which quietly appeared later in December and is shown above. A number of its design elements, such as the triangular layout of the 3-dot headlights, the roofline and the particular shade of red recall the much-praised LF-LC Concept, albeit in a super-wide-body rear quarter variant with cartoonishly large rear tires. Are exaggeratedly wide rear fenders becoming a new Lexus concept car fetish? Among the 7 Vision GT teaser renderings that, as of this writing, remain unseen is Daihatsu’s. Frankly, we can’t help but wonder what this not particularly enthusiast-oriented small car and SUV specialist – majority-owned by Toyota – is doing here. Their only loosely GT-ish model is the Copen retractable-hardtop 2-seat roadster kei microcar that went out of production last year. The colorful trio of Kopen concepts the carmaker unveiled at the 2013 Tokyo Motor Show should probably provide the basis or inspiration for Daihatsu’s baby GT. The Center for Automotive Research (CAR), defined by Wikipedia as “a nonprofit research organization based in Ann Arbor, Michigan that conducts research, forecasts trends, develops new methodologies, and advises on public policy” is probably best known among industry geeks like yours truly for its annual Management Briefing Seminars, “an annual gathering of more than 900 auto industry, academic and government leaders addressing critical issues and emerging trends in an inviting atmosphere designed to build relationships” (again, per Wikipedia). Although dismissed by Autoextremist Peter DeLorenzo in his Tuesday 6 August 2013 Rants as “a self-important event that provides a forum for people from the auto industry who talk too much without really having anything substantive to say (that is full of) searing hot air generated by all of the pontificating going on”, it will, on occasion, produce interesting revelations of substance. Case in point: an address during this year’s Designing for Technology session at the Management Briefing Seminars by national manager of strategic education support for Lexus International Paul Williamsen (pictured above). Lexus already offers the hybrid ES, as well as hybrid versions of its IS, GS and LS sedans and RX cross/utility vehicle. The brand also sells the CT 200h dedicated hybrid. Lexus offers a total of nine nameplates across its range, but it’s unlikely the GX and LX SUVs in their current form would receive hybrid variants, as such versions of competing models have not sold well. Lexus’ still-to-be-named hybrids could be all-new models, such as a production version of the LF-LC concept from the 2012 North American International Auto Show in Detroit. A Lexus official confirmed to WardsAuto in March the vehicle was bound for showrooms to satisfy consumer demand. Other media reports have said the Lexus LF-CC concept is marked to become a production model, with a variation of the GS 300h hybrid’s powertrain. Nay on the first one (we don’t see a production version of LF-LC debuting next year), yay on the second (but we know it will bear the RC moniker in production). In fact, press reports have suggested that the RC 350 and a companion RC 300h (or, possibly, RC 450h) will debut at the 2013 Tokyo Motor Show in late November of this year, followed by a V8 RC F in January 2014 at the Detroit Auto Show. The eighth Lexus hybrid? The trademarked NX 300h, the RAV4-derived sub-RX Lexus crossover that is rumored to appear as an LF-NX concept predictor at the 2013 Tokyo Motor Show, followed by the production version debut at the March 2014 Geneva Motor Show. 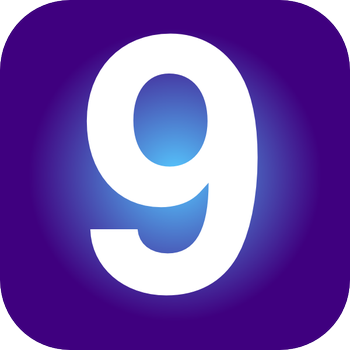 And the ninth and final Lexus hybrid? The not-so-new HS 250h which, although discontinued in North America, carries on in Japan, complete with spindle grill mid-life facelift. An expanded motorsports role for Lexus? He also hints Lexus will be expanding its role within motorsports, citing the 2012 and 2013 entries of the IS-F in the Pikes Peak International Hill Climb challenge as a good sign that racing will become a bigger part of Lexus’ future. “In the premium luxury segment, there is a strong motivation among buyers to pay attention to performance,” Williamsen says, noting greater motorsports participation could be an important selling tool for distributors and dealers. A bare-bones Japanese language Toyota news release linking to a page on the Toyota Japan website promising a new Harrier crossover SUV in winter 2013 led to a stream of predictions that we were looking at the 4th-generation of the Lexus RX – minus the spindle grille – based on the historic relation between the two models. And this was no mere shadowy teaser, but included 4 clear pictures of a dark violet-blue-gray vehicle (three of which illustrate this article) with clear stylistic ties to its predecessors. So, are they correct, or off base? OK, so the title of this article is a huge, in-your-face giveaway spoiler as to what this author thinks, but please stay with us as we justify why our opinion flies in the face of much of the Internet punditry. After all, yours truly has been down this road before – almost 9 years ago, to be precise – debunking erroneous notions that the original Toyota Mark X was the 2nd-generation Lexus IS. Born of the F1 (“Flagship One”) initiative to create a large luxury vehicle to challenge the world’s best, the original Lexus LS launched Toyota’s international luxury brand, with sales starting in the United States in September 1989. With the Lexus brand not appearing in the Japanese market until 26 July 2005, however, there was an almost 16-year period which saw an at times convoluted relationship between the international Lexus models and their Toyota-badged variants for Japan. Japanese dealers began clamoring for their version of the Lexus LS, which appeared at Toyopet Stores barely a month after its U.S. debut bearing the Toyota Celsior badge. The late 2006 debut of the XF40 4th-generation Lexus LS saw the end of Toyota Celsior badging. A high-end luxury sedan begs for a GT coupe counterpart, right? Thus work began on the E-segment Lexus SC at Toyota’s Calty Design Research center in California, leading to a June 1991 unveiling. In Japan it appeared around the same time as the 3rd (Z30) iteration of a familiar badge: Toyota Soarer. The Soarer name carried on into the Japanese version of the 2nd-generation (Z40) Lexus SC until the July 2005 Japanese rollout of the Lexus dealer network. Then, the Toyota Soarer simply changed badges and carried on as a Lexus until its ultimate demise as a production car in July 2010 and as a Super GT racer at the end of the 2011 season. Toyota soon realized that a single F-segment high-end large luxury sedan such as the Lexus LS / Toyota Celsior was not enough to sustain a dealer network, and hastily adapted the V20 (2nd-generation) Toyota Vista 4-door pillared hardtop (itself a Toyota Camry variant) as the original Lexus ES 250. This 2-year stopgap was replaced by the XV10 2nd-generation Lexus ES with a new Toyota Windom equivalent. Both were launched in September 1991. The ES/Windom relation continued until the debut of the XV40 5th-generation Lexus ES in February 2007, at which point the Toyota Windom died and the Lexus ES became a model built but not sold in Japan. After the rear-wheel-drive F-segment Lexus LS sedan and the E-segment Lexus SC coupe, an E-segment sedan seemed like a natural next step for Lexus. After Calty designer Erwin Lui’s unorthodox tactic of using plaster-filled balloons to achieve the original SC coupe’s rounded, voluptuous shapes, Toyota did something just as unexpected: hire Italy’s famed Italdesign Giugiaro to design a new Crown derivative, the Toyota Aristo, which was unveiled in Japan in October 1991. Its Lexus GS counterpart for export began production in February 1993. The twin Aristo/GS continued for a second generation, known as S160, until the introduction of the 3rd-generation (S190) Lexus GS at the January 2005 Detroit Auto Show and the Japanese introduction of the Lexus brand over 6 months later killed the Toyota Aristo. Lexus’ first foray into the world of sports utility vehicles was with the Lexus LX line, essentially fancier, high-luxe versions of the largest Toyota Land Cruisers, starting with the 1996 model year only for export. In a notable twist, however, the 2nd-generation (J100) Lexus LX was sold in Japan as the Toyota Land Cruiser Cygnus. The Cygnus badge didn’t survive past the 2007 model year. The increasing popularity of European-style, enthusiast-friendly D-segment sports sedans led to the creation of the iconic Toyota Altezza in October 1998. The following year, its Lexus IS-badged counterpart first appeared in Europe. Alas, the original Altezza/IS lasted but a single generation, and the Altezza badge was laid to rest in March 2005 with the advent of the 2nd-generation (XE20) Lexus IS (although we once wondered if the Altezza badge was worthy of reviving). Although previewed in concept form by the Lexus-badged SLV, the world’s first D-segment luxury crossover (car-based) SUV actually first went into production as the Toyota Harrier in December 1997, 3 months before being exported as the Lexus RX. Harrier and RX were near-identical twins during their first (XU10) and second (XU30) generations, the latter having first gone on sale in February 2003. As the 3rd-generation (AL10) Lexus RX appeared in November 2008 and finally entered Japanese showrooms, Toyota chose not to discontinue the Harrier. Rather, it carried on, virtually unchanged, in the Japanese domestic market, a fact that slipped under many radars. In a sense, the seeds for this story were sown back in December 2012, when yours truly, researching something on the Toyota Japan site, accidentally stumbled upon a now dead Harrier page. If memory serves correctly, it was then available only with a single engine offering: the 2AZ-FE 2.4-liter 4-cylinder engine, a fact tacitly confirmed by the Batfa.com website. Thus, Japanese consumers have, in a sense, the option of choosing between showroom-new 2nd-gen or 3rd-gen Lexus RXs, with the former bearing a Toyota badge and using a smaller, less powerful engine. Such a situation isn’t as unusual as you’d expect. Volkswagen is probably the champion in this regard, with buyers in China, Mexico and South Africa, off the top of our head, able to choose from multiple generations of Golfs, Jettas and Passats off the new car showroom floor. It isn’t unusual for European carmakers such as Opel, Fiat and Peugeot/Citroën to offer, for a period, decontented cheaper versions of soon-to-be-superseded models alongside their better-equipped, more expensive successors. And, in North America, Chevrolet has been known to continue building older versions of Malibus and Impalas for fleet and rental markets alongside the newer consumer-oriented versions. With Toyota having chosen to continue offering the Harrier in Japan and the current version having remained virtually unchanged for over a decade, it’s no wonder we’re now looking at a successor. Just how much do we know at this point, though? 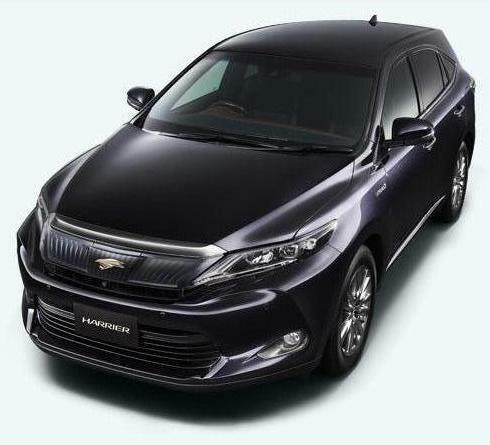 Although recently down to a single 4-cylinder gasoline engine choice, the Toyota Harrier has previously offered the options of the 1MZ-FE 3-liter V6 and the gasoline-electric hybrid version of its larger 3MZ-FE 3.3-liter V6 sibling. It takes only the barest of glances to spot the prominent HYBRID badges on the front fenders of the newest Harrier, so we’re definitely seeing the return of the Harrier Hybrid. But will the Harrier go hybrid-only for the next generation? Hard to say for sure, but there’s certainly a strong case that it could. For one, the latest 7th-generation (XV50) Toyota Camry for the Japanese market has evolved into a niche Hybrid-only vehicle, the largest such front-wheel-drive model in Toyota’s domestic stable. Further, none of the Japanese domestic market’s crossover SUVs currently offer a hybrid version. The Highlander/Kluger? That hasn’t been sold in Japan since the advent of the second generation in mid-2007. The RAV4? The newest 4th-generation version has yet to go on sale there even with gasoline engines, let alone as a hybrid that the rumor mill says is an iffy proposition. And what about the other Toyotas conceptually closest to the Harrier: the American Venza and its similarly-styled smaller Japanese sibling, the Mark X Zio? Nope, no hybrids there, either. And what powertrain would a Harrier Hybrid use? Our best guess is the 2.5-liter 2AR-FXE 4-cylinder unit from the latest Camry Hybrid. Facelift or all-new sheetmetal? A brief styling analysis. Looking at the new Harrier, especially the side view and greenhouse, is giving us a very strong case of déjà vu. Is this all-new sheetmetal? Or simply an extensive facelift on the existing Harrier akin to those applied to the current 4th-generation Lexus LS for 2013 or to the previous 3rd-generation Toyota Avalon for the 2011 and 2012 model years? The fixed glass pane on the trailing edge of the rear doors is more akin to the outgoing Harrier/2nd-gen Lexus RX than to the latest RX, which replaces this glass with a thicker C-pillar. 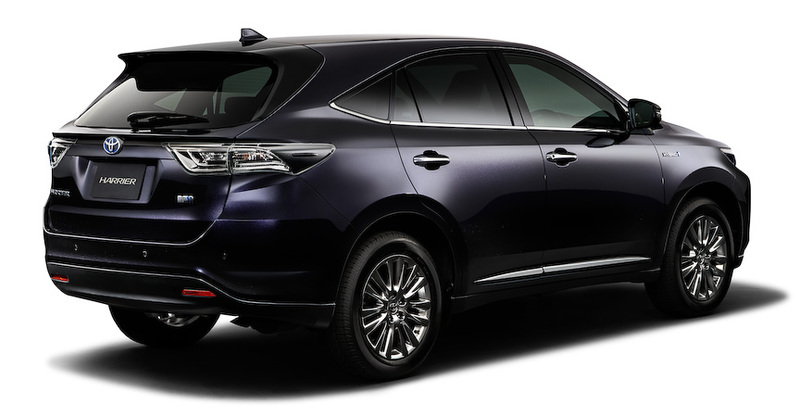 Yet, details such as the greenhouse and side window shapes, fender and lower door sill shapes and sculpturing appear closer but hardly identical to the latest Lexus RX. Thus, we’ll conclude that we’re looking at new sheet metal, albeit styled in a very familiar way. Up front is where the Harrier shows the most marked departure from its predecessor. 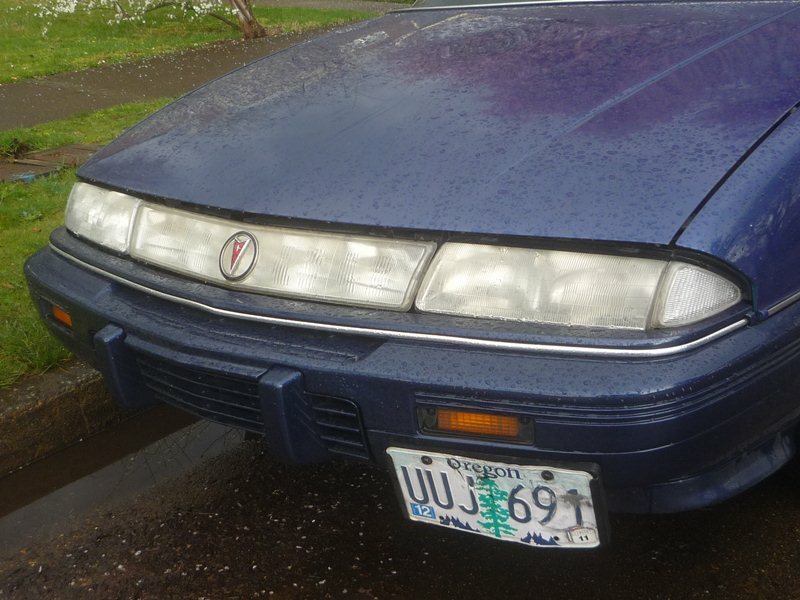 Beneath the prominent chrome brow on the leading edge of the hood is an upper grille that, to this author, looks like a translucent throwback to the late 1980s-to-mid 1990s light bars found on Mercury Sable and Pontiac Grand Prix models of the era. The shape of the large lower grille follows current Toyota styling trends, and is especially reminiscent of the latest Avalon. Pretty distant from the current Lexus spindle grille look, we’d say. When is the 4th-gen Lexus RX due, anyway? Writers speculating on whether we’re about to see a new Lexus RX are ignoring that model’s product cadence. The 3rd-generation went on sale in February 2009 as a 2010 model and received the larger spindle grille as part of a mid-life facelift in Spring/Summer 2012 for the 2013 model year. Thus, we’d be quite surprised if a 4th-generation RX appeared any sooner than late 2014 or during the 2015 calendar year as a 2016 model. Besides, Lexus’ current priorities are launching its 2 newest model lines, the RC coupe and the NX smaller crossover SUV. 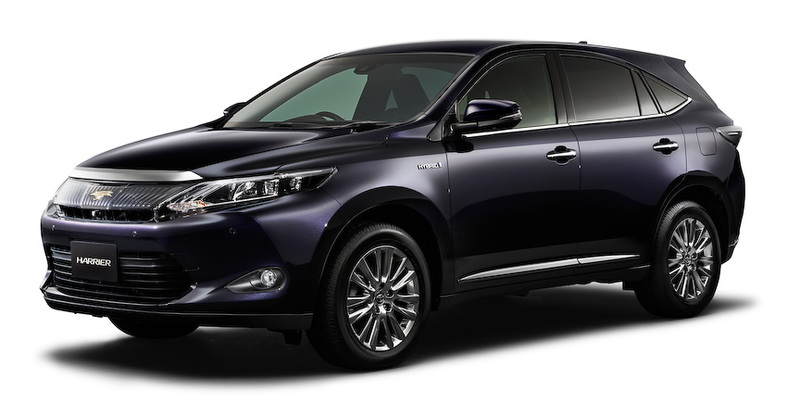 Any hopes for a Toyota Harrier/Lexus RX reconvergence? Sorry, but that train left in early 2009, and this new Harrier, if anything, shows that its path is veering further than ever from that of its formerly near-identical twin. The small Lexus roadster. Is it happening after all? “What the BMW community would love instead is an affordable Z2 – think of it as BMW’s answer to the Toyota GT 86/Scion FR-S/Subaru BRZ triplets. This car could pick up what was lost when then Z3 became the Z4, but unfortunately the new compact roadster keeps being rejected by the board, primarily for pricing and positioning reasons. Even though it is now almost too late to sign off on a Z2 based on the purist rear-wheel drive 2 Series components set, the time will probably never be ripe for a front-wheel drive Z2 twinned with the next Mini Cooper S Roadster”. What about making the BMW Z2 a reality by coupling it with a Lexus version that would compete with long-rumored production Volkswagen and Audi versions of the Concept BlueSport roadster? Sounds good awesome to us! Sources in Japan say Toyota’s version (of the joint BMW/Toyota sports car) will actually underpin an all-new Lexus sports car, a suggestion that makes all the sense in the world given Akio Toyoda’s ambition to make Lexus a genuine global rival to the German lux-meisters. Whisper is the new Lexus will be positioned to compete with the Mercedes SLK, BMW Z4, and entry-level Porsche Boxster. And why does BMW need a new sports car platform? It already has the Z4. True, but the Z4 shares a lot of hardware with the 3 Series, which is fast getting too big to be sliced and diced into a credible two-seat roadster. Sharing with Toyota allows BMW to economically decouple the Z4 platform from the 3 Series, and keep it sports car size. There’s another potential benefit: The new platform could also underpin a new 2 Series coupe as the next-gen 1 Series goes front drive. It would keep the 2 Series rear drive – vital to BMW’s sporty credentials – but, more important, also liberate it from using modified 3 Series hardware, which is getting too big, too heavy and – crucially – too expensive. Sounds like a lame excuse to us, given that Chevrolet dealers sell Corvettes that start at a bit over that and can balloon to more than twice those sticker price numbers, at which Nissan dealers will also happily sell you a GT-R. Yet, if the BMW-Toyota collaboration is to yield but a single Japanese sports car, it probably makes more sense (and profits) to badge it as a Lexus and not as a Toyota. Among this author’s many oddball geeky/nerdy automotive interests is following Motor Trend magazine’s annual Power List of the “Top 50 movers, shakers, heart-breakers in the mercurial world of autodom”, as they described it in 2008. This ritual goes back further than that, though, having started in 2005, and has been compiled by Todd Lassa since 2010. Its latest 2013 iteration reminds us that “steady is the new up”, with less changes in the ranks and listings than at any time in recent memory. Yet, one of the handful of exceptions to that rule is Toyota Motor Company’s President and Chief Executive Officer Akio Toyoda, who rises from the #26 position in 2012 all the way to #3 this year, and is, in Lassa’s words, gunning for first. His passionate approach includes kudos for the successful Scion FR-S launch and for his cheerleading efforts in ensuring that nonsport models such as the Lexus GS and Toyota Avalon have a personality, as well as spearheading the company’s return to Le Mans and the FIA World Endurance Championship. Also appearing on the list is Bob Carter, rising from #45 in 2012 to #34 this year, chiefly on the strength of his promotion last April to Toyota Motor Sales USA’s Automotive Operations Senior Vice President, a position that includes responsibilities for Scion and Lexus as well. 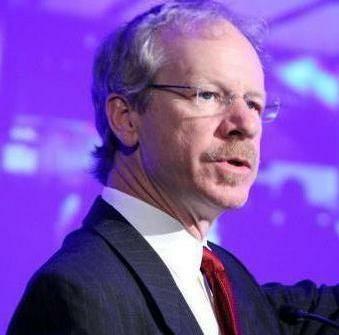 Fortunately, Lassa affirms that, like corporate chief and scion Toyoda, Carter personally prefers sporty cars over Camrys, and goes on to suggest that Carter may become Toyota’s next American board member, an honor that other pundits have suggested for Senior Managing Officer of Toyota Motor Corporation and Chairman of Toyota Motor Manufacturing Canada Réal “Ray” Tanguay. The third Toyota official on the 2013 list, and marking his first appearance in the #45 position is Lexus Product Marketing Planning Division General Manager Mark Templin. Talk of his “unenviably tough job assignment” and goals of growing Lexus outside North America, however, were overshadowed by the jaw-dropping suggestion that Lexus’s aims included “Phasing out best-selling ES. Let Toyota Avalon have the segment”. The statement about RWD does NOT come from Mark Templin. Several sources have told me that Toyota will satisfy the Lexus ES market with the Avalon. Interesting, and something this author has decidedly mixed feelings about. As implied above, going with rear-wheel-drive-centric mid-sized and larger models (with all-wheel-drive options for snowy climes) would cement Lexus’ status as a worthy Mercedes-Benz and BMW rival with an equal emphasis on handling and driving dynamics. On paper, this makes the front-wheel-drive ES an out-of-place throwback that is saddled with a reputation as a dull-to-drive, old folks’ retirement community conveyance. By the time the Lexus ES’s 5th-generation was launched in February 2006, it was a model built but unavailable for sale in its native Japan, and sold only in North America and a handful of Asian and Middle East markets. Its newfound success in China (where, at one point, it was the 4th-best-selling luxury sedan) was thwarted by Sino/Japanese tensions over the Diaoyu/Senkaku islands that sent all Japanese car sales in China plummeting just as the new 6th-generation ES made its move to the larger Toyota Avalon base – primarily to satisfy China’s longing for maximum rear-seat legroom in a luxury segment whose vehicles are usually chauffeur-driven. In a way, though, it would be a shame if the ES goes away, for its newest iteration, arguably, wears the cleanest, most attractive and least overwrought take on Lexus’ new spindle grille and design language, and this author was quite pleasantly surprised by its driving manners and handling. Then again, similar kudos have been expressed over the new 4th-generation (XX40) Toyota Avalon which shares its underpinnings with the newest ES. And we’ll certainly admit that a top-of-the-line 2013 Toyota Avalon Limited is probably closer to the latest Lexus ES than any of the previous ones were to a Toyota Camry XLE V6. And Toyota could borrow a page from the Tundra playbook and slip a Platinum version of the Avalon above the Limited to even better replace the Lexus ES. Yet, as with our previous story, this author remains skeptical of the rumor that Lexus would eventually kill the ES. 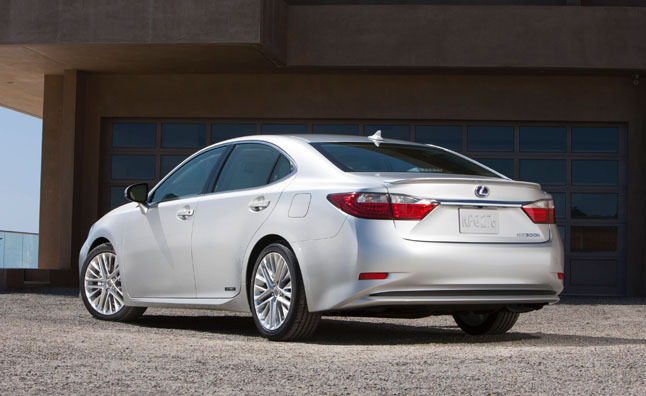 It is, by far, Lexus’ best-selling sedan in the United States (and Lexus’ second-best-selling vehicle overall here). To put the numbers into perspective, the 5186 copies of the ES sold in the U.S. during January 2013 exceeds sales of the rest of the brand’s car lineup combined (we’re leaving the SUV and crossover RX, GX and LX lines out of this discussion). And, looking back at the 2012 calendar year, the 56,158 ES units sold in the U.S. are just a couple of thousand units under the sum of last year’s IS, GS and LS sales here combined. ES’s sales advantage, in fact, might have been even greater had it not been for the downtime due to the production changeover from the 5th to 6th generation model. Is Lexus really in a position to “throw away” sales numbers like those? Or does Toyota think that a combination of a better and more popular Avalon, a roomier Lexus IS and a vastly better-selling (and critically-acclaimed) Lexus GS might eventually make the ES redundant? At any rate, with the latest versions of the Lexus ES and Toyota Avalon siblings having been on sale for just a few months and foreseen to sell for 6 to 7 years in essentially their current state, there is still time for Toyota to let the market (and the company’s engineers, product planners and marketers) sort out what the best course of action is going forward. A final footnote in this discussion is the decades-long, on-and-off rumors that the Lexus ES line would eventually be built in North America. These reached a new crescendo when the latest ES essentially became a higher-lux version of the built-only-in-the-U.S. Toyota Avalon amidst a strong yen/weak dollar currency exchange rate that would make North American assembly far more profitable. Among the latest of those predictions comes from Haig Stoddard of the respected WardsAuto industry journal, who in mid-December 2012 said he “expects Toyota to add production of a Lexus model at its Georgetown, Kentucky plant”, the precise location of Avalon production. This decision alone should have a large bearing on the Lexus ES’s future, and we should add that, since then, the newly-weakening yen versus the U.S. dollar is making the decision to move ES production to North America a less pressing matter. The 2013 Toyota, Lexus and Scion “launch list” gets tweaked yet again! Toyota plans 9 new vehicle launches for 2013 — including five for its Toyota brand, one for Scion and three for Lexus, after 12 new or refreshed models in 2012. Toyota Highlander – All-new 3rd-generation. This time, we’re combining all variants of the Highlander, hybrid and non-hybrid alike, into one entry. Toyota Tundra – More likely a semi-extensive second mid-life facelift for the current 2nd-generation model, as opposed to an all-new 3rd-gen.
Toyota Corolla – All-new 11th-generation, expected as a sedan only, with the Matrix hatchback variant failing to see a third generation. Toyota 4Runner – A mid-life refresh to the current 5th-generation model originally launched in September 2009. Toyota Sequoia – As with the Tundra, an extensive second facelift for the current 2nd-generation model, as opposed to an all-new 3rd-gen. If this is pushed back to the 2014 calendar year, then Toyota was counting hybrid and non-hybrid versions of the Highlander separately after all. Lexus IS – All-new 3rd-generation, officially confirmed to debut in just over a week at the 2013 Detroit Auto Show. Lexus GX – A mid-life facelift for the current 2nd-generation that originally debuted in November 2009. Lexus NX – Believed to debut at one or more of the major fall 2013 auto shows (Frankfurt, Tokyo or Los Angeles), Lexus’ newest model line is a compact crossover SUV smaller than the brand’s most popular model, the RX. Like the latest Toyota RAV4 from whence it’s expected to derive, the NX 200t and NX 300h launch (from public introduction to press preview to on-sale date) will probably encompass two calendar years. And the Scion? It is interesting to note that Bob Carter is confirming our notion of a single new or refreshed model for the brand for 2013, as opposed to Automotive News‘ insistence on two new models. While Jim Lentz tells us to expect nothing more than a mid-term refresh for the current 2nd-generation tC, is Scion really going to celebrate it’s 10th anniversary only with something so anticlimactic? Or did he misspeak, leaving us to hold out hope for a new-generation 5-door hatchback instead? Well, if Scion once misidentified the FR-S manual transmission code on its press preview materials, perhaps they also erred in identifying their big news for 2013. Ummm…did he really say that with a straight face?